My Rally Finland 2017 of a different kind. By Marcus Gronholm. 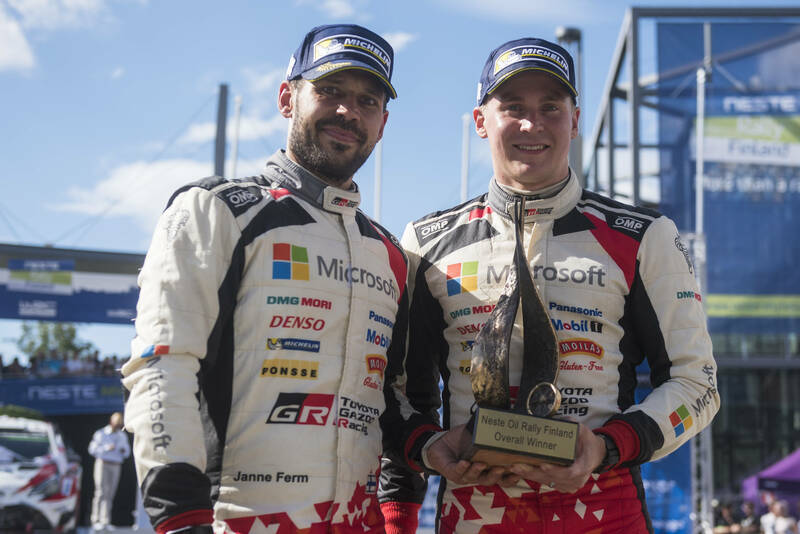 Two-time World Rally Champion and seven-time Rally Finland winner Marcus Grönholm was Red Bull TV’s guest reporter for his home event, witnessing at first hand a spectacular contest won by Toyota’s young protege Esapekka Lappi, who claimed his debut victory. 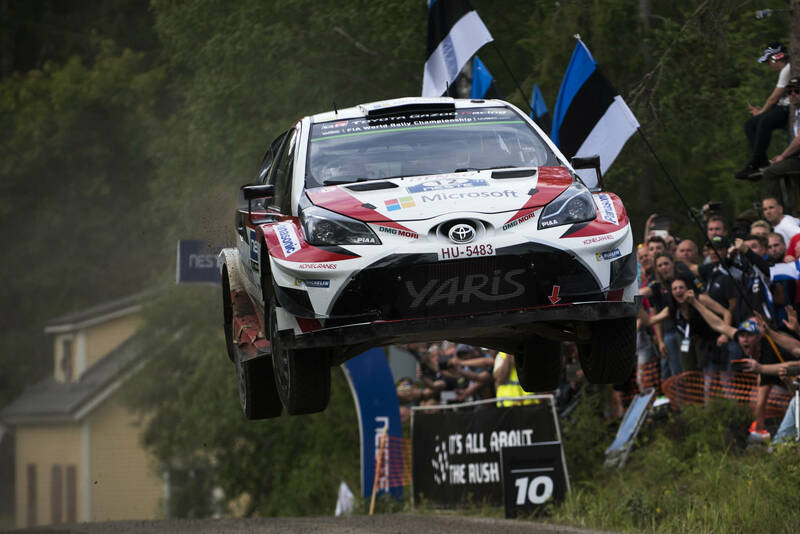 While Toyota was strong, they faced several challengers: all of whom displayed the sort of ‘sisu’ – Finnish for ‘bravery’ – that has made Rally Finland famous. 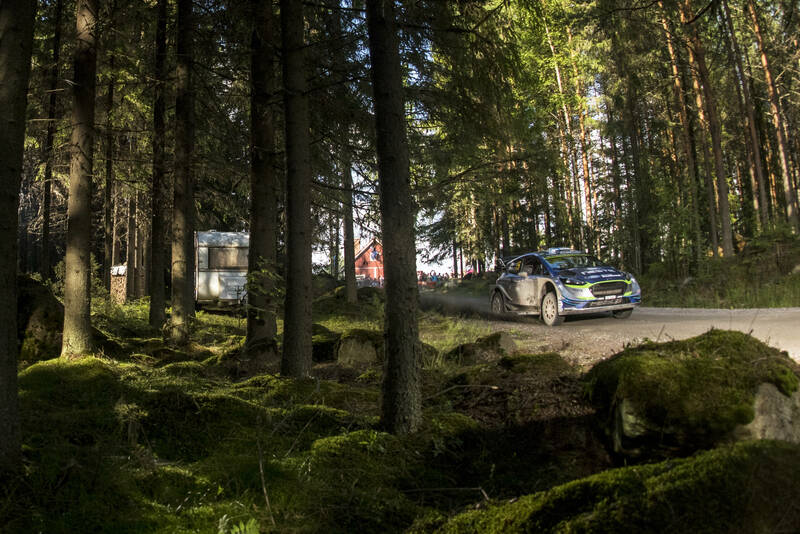 “What an amazing Rally Finland! Esapekka Lappi has been very impressive. We have known for a while that he was looking good, but this was amazing. Generally, the big surprise was Toyota. Or perhaps it was not such a big surprise for me as I drove the car myself and it’s really good. There’s not much more that I’m allowed to say about it, but I was definitely really impressed. I’m 100% retired though, so no chance of me coming back! You have to take your hat off to Tommi Makinen, he’s done an incredible job to build the team from scratch. The only thing that wasn’t perfect for them was the technical problem for Jari-Matti Latvala on Saturday, when he had to stop while he was leading. I can sympathise as the same thing happened to me once: I have seven Rally Finland wins but it could actually have been eight wins, as once I was leading and the wheel bearing broke. It’s hard to take at the time but that’s just part of the sport. Anyway, it’s nice to see Rally Finland going back to the Finns at last! But it wasn’t just Esapekka, Teemu Suninen did a great job too. There are lots of other young drivers coming up through the ranks now in our country: I help Jari Huttunen, who was really fast in WRC2 in Finland: it was his first time in a four-wheel drive car and he was beating Eric Camilli, who is a factory driver. I call all these new young drivers ‘the PlayStation Boys’, because they are so young! And this is how they drive. It’s hard to pick a driver of the rally, but Suninen was really outstanding, as he has even less experience in a World Rally Car than Lappi. It’s funny: for so many years there was nobody coming up through the ranks in Finland – well, maybe only one or two people – and now there are loads of good young guys. I don’t why, but it’s good! I got to spend some time with Kalle Rovanperä during the rally, and it’s incredible that he’s only 16 and he’s already achieved so much. If I had to bet, I think he’ll be on Rally GB in an R5 Fiesta. It’s always tough for young drivers to get a break, but it’s probably getting a little bit easier than it was in my day, which is good news for the future. More good news for the future is that the latest generation of cars is amazing; I’ve actually got some experience of them as I was driving the 2017 Volkswagen Polo WRC, which was a great car although it never did a rally, and now it’s been good to see them from the outside as part of the Red Bull TV crew. With the new regulations, the cars are fast, and spectacular to watch. But Finland is always the place that creates the biggest test of confidence. The championship fight is really interesting now, but Thierry Neuville could maybe have taken a bit more. For some reason, he’s struggled a little bit here – I’m not sure why. 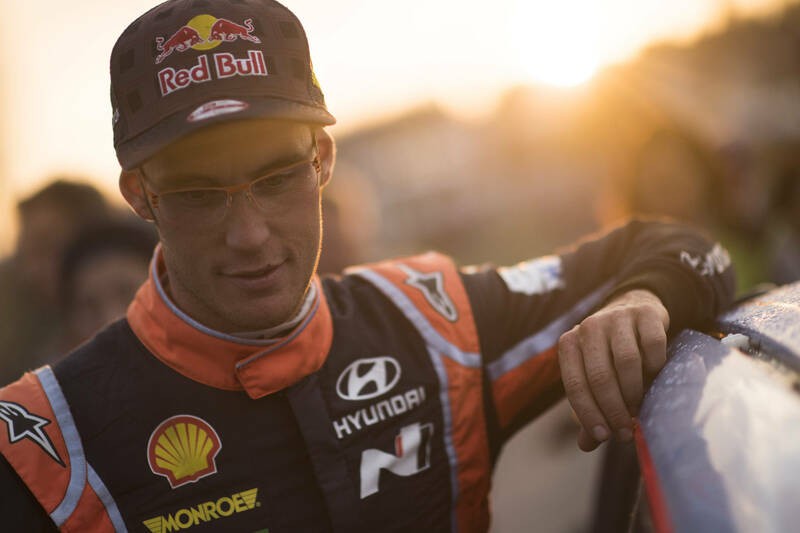 If the car is not completely right, you don’t have the confidence to commit totally, and that’s what was affecting I think Kris Meeke at Citroen and the other Hyundai of Hayden Paddon as well. One of the drivers I thought was actually going to win was Ott Tanak, but he was unlucky – not for the first time! Watch Red Bull TV on all your devices, wherever you’re connected! This entry was posted in Culture, Global News, Highlights, Motorsports, WRC by admin. Bookmark the permalink.